Boasting the largest-ever Max Air heel unit created by Nike, the Nike Air Max 270 SE Floral delivers visible air under every step. Inspired by iconic Air Max shoes from the early '90s, this modern interpretation delivers comfort solutions in a breathable, sleek silhouette. 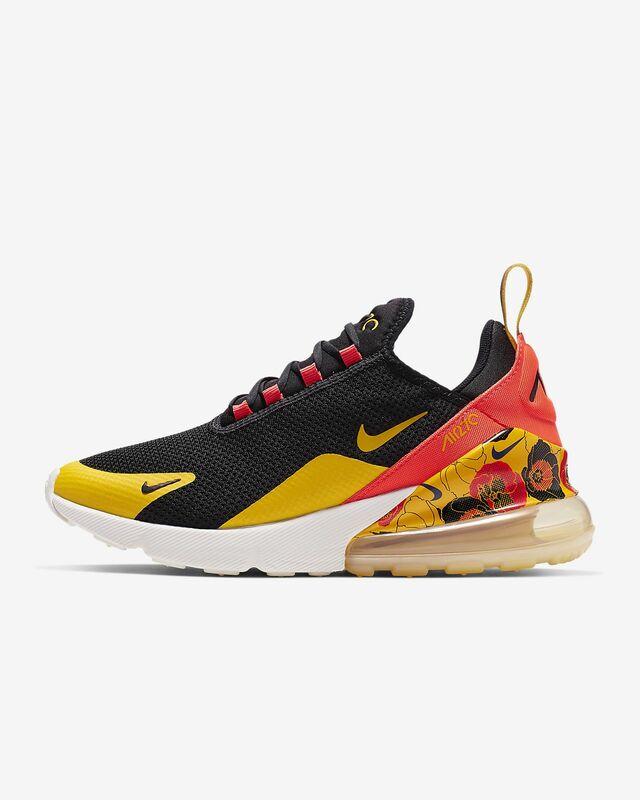 Boasting the largest-ever Max Air heel unit created by Nike, the Nike Air Max 270 SE Floral delivers visible air under every step. Inspired by iconic Air Max shoes from the early &apos;90s, this modern interpretation delivers comfort solutions in a breathable, sleek silhouette. Large volume Max Air unit offers responsive cushioning. Waffle-inspired rubber coverage on the outsole for durable traction. Heel pull tab allows for easy on and off. Pleaaaaaaase bring back this Air Max Camo. I need it in 9,5. Pleaaaaase it looks sooooooo dope. I want to add it to my Nike collection. I love the look. Feels like its springing me into action everytime I take a step. That's great with 4 kids, keeping me on my toes although I thought it would be easier to put on. Love it, though for sure. I absolutely love these sneakers! comfortable and light weight. Tons of compliments!